As neurobiological research shows, spiritual beliefs and practices have a profound influence in suffering, healing, and resilience, particularly with serious crises, trauma, or loss and in chronic multi-stress conditions. Yet clinicians are often unsure of how to approach spiritual matters in practice. Viewing spirituality as a dimension of human experience, Dr. Walsh will present a useful systemic framework and multi-faith perspectives to integrate spirituality in clinical work with individuals, couples, and families. Practice guidelines, cautions, and case illustrations will be discussed. Froma Walsh, MSW, PhD, is Co-Director at Chicago Center for Family Health. She is Firestone Professor Emerita at School of Social Service Administration & Dept. of Psychiatry, University of Chicago. She is also the past President at American Family Therapy Academy. 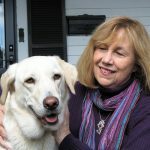 Froma Walsh is the past Editor, Journal of Marital & Family Therapy. Her books are: Strengthening Family Resilience; Spiritual Resources in Family Therapy; Normal Family Processes; Living Beyond Loss. Questions? Visit our Workshop FAQ Page.